When prices tumble for a product or service, there is generally an observable reason. It might be a cunning technological fix that dramatically boosts productivity, for instance, or the sudden slide in a key input cost. But nothing so obvious can convincingly explain why it is suddenly much cheaper to produce electricity from offshore wind turbines. The latest round of renewable auctions has seen two big projects awarded contracts guaranteeing a fixed price of £57.50 per megawatt hour for their output when the blades start turning sometime in the next decade. That is a very big dip from the first round, which required subsidies of some £150/MWh to be profitable. Even the cheapest of previous vintages were north of £110. It is not so long since British wind power bosses were vowing — amid widespread scepticism — that they could reduce costs to £100/MWh by 2020. Yet these auction results suggest a far steeper decline in offshore costs. Of course, it is always worth peering behind the headlines to put numbers in context. The sums quoted are 2012 prices. The actual figure in today’s money is therefore £64/MWh; a still subsidy-rich 50 per cent above the current wholesale price of about £40. The real question though is how the industry can support such a reduction. Take overall costs, for instance. Most studies do not yet point to projects breaking even at £57.50. According to a recent review by the UK’s Offshore Wind Programme Board, so-called levelised costs for new wind projects at the point of commitment (ie not yet built, but button decisively pressed) declined by 7 per cent annually from £142/MWh in 2010-11 to just £97 in 2015-16, driven by factors such as the use of larger turbines and better siting. But while these are impressive figures even they cannot explain a further £40 drop in such a short space of time. What’s more, by far the biggest component of those costs is capital expenditure, and another study suggests that progress here is much more nuanced. 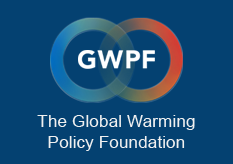 A new report led by Gordon Hughes, a former professor of economics at Edinburgh University, and published by the sceptical Global Warming Policy Foundation, has analysed the reported capital costs of 86 projects across Europe. These show that while technological advances are driving down costs by 4 per cent annually, this gain is being offset as the industry moves out into deeper and more challenging waters. So, depending on where future projects are sited, there may even be no clear downward trend at all.